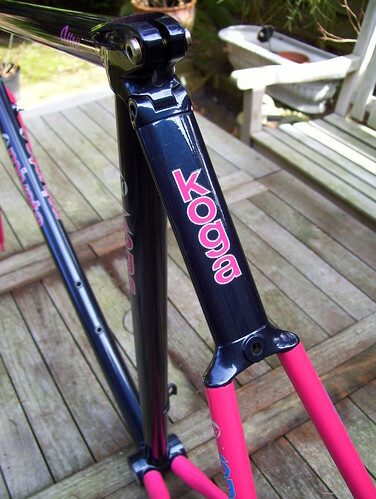 Very well engineered Japan made Koga-Miyata frame. 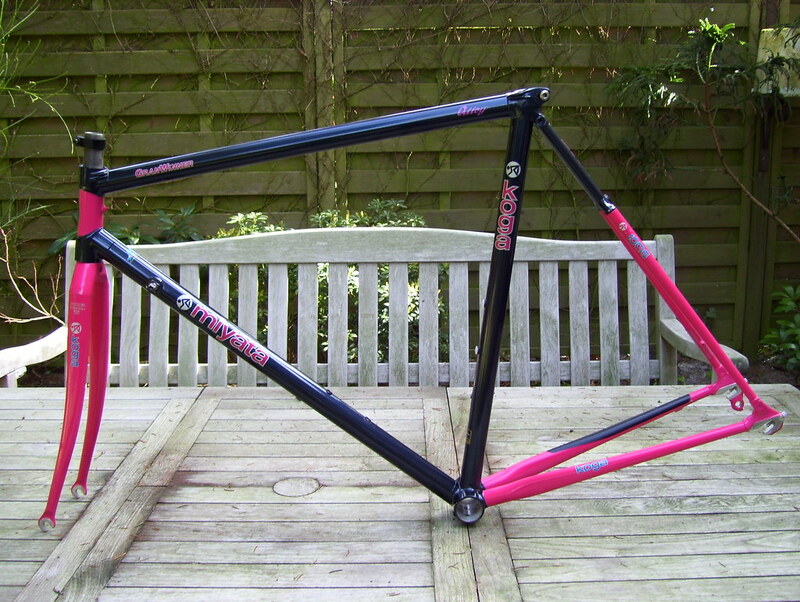 Bonded frames: Technium, DynaTech, Vitus, Alan - I've owned them pretty much all. 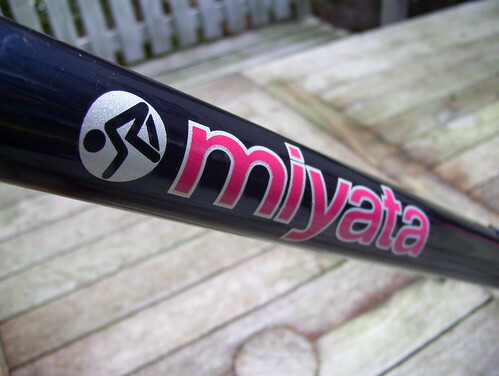 This Miyata dates from 1993 and a saw lot of R&D effort by the always dedictated people of the land of the rising sun, making it the probably the furthest developed bonded al design in the marketplace. 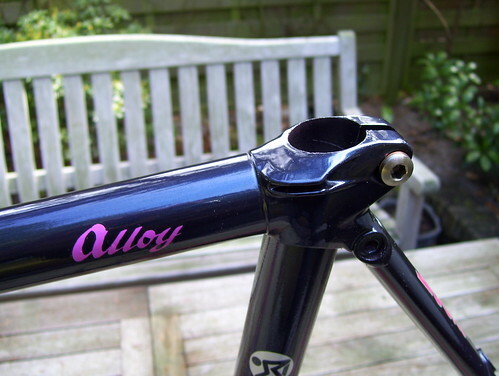 The frame is light, but not dangerously light. 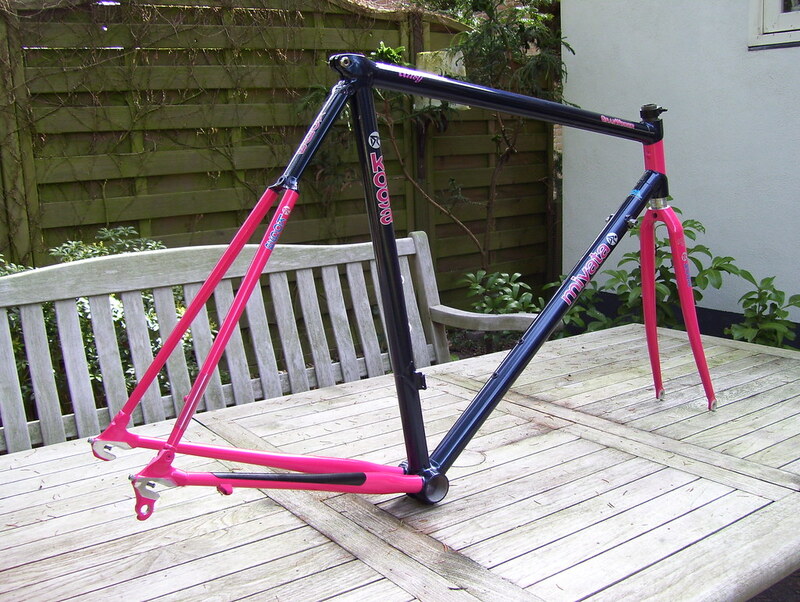 I have no scale here, but I think it weighs ca 2000-2100gr for frame and forks. 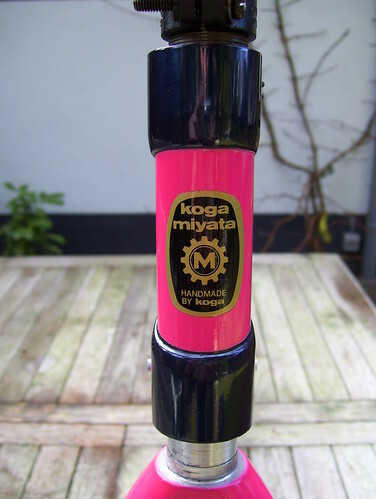 There not only went a lot R&D effort in it, but as you can expect from the Japanese the execution is flawless: All transitions are smooth, coat is nice and thick ...you will have a very tough time finding imperfections. All this had a price tag of course: ca 1800 guilders back in the day. 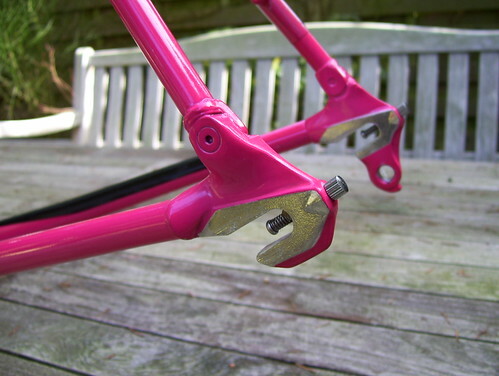 Typical for this generation bonded Koga-Miyata frames: The nice slim monostay and the rear brake cable routing along the toptube -the best way imo- with the stops neatly integrated in the head- and seatlug. With the paintscheme you and your Japanese candy are full in fashion. You won't go unnoticed in traffic and you will be the star on the road. 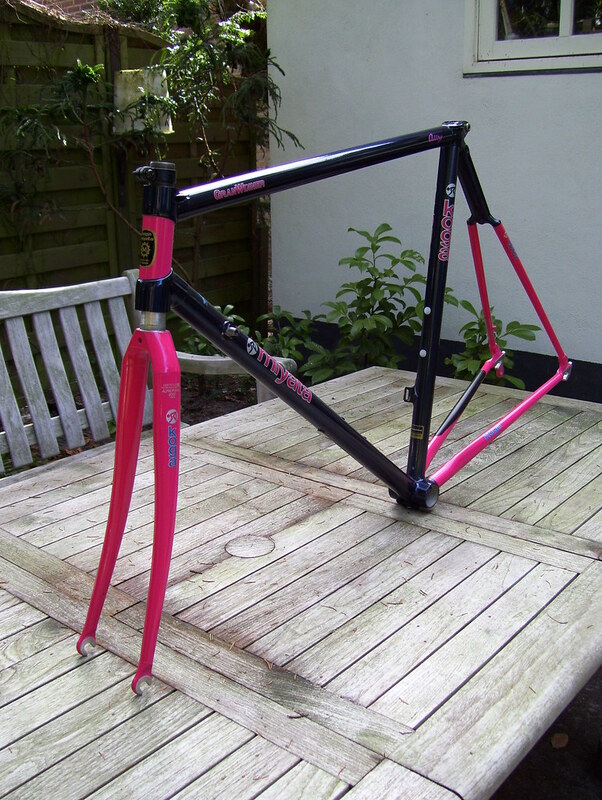 You can blend in with the fixiegang and other hipsters due to the frame's clean optics and generous use of pink. Last edited by Elev12k on Tue May 31, 2011 12:48 pm, edited 4 times in total. 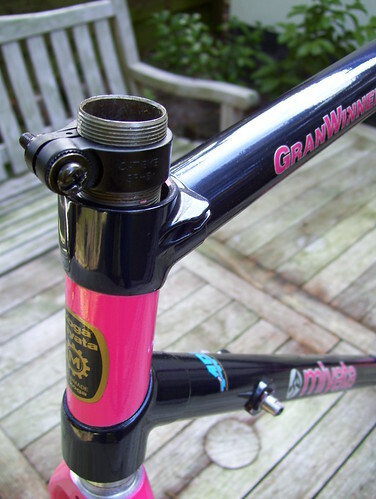 ...but could these smaller ones do very well for GFs??? 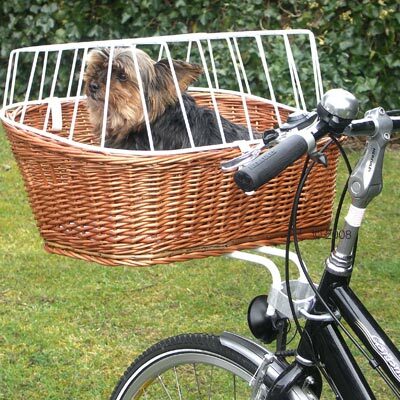 Does it have one as standard? One 56 found a new happy owner and will be making its journey to UK the upcoming week Soon to be seen on Britain's roads. if you do get anything nice in a 59, or even a 58, please let me know!